Diapers.com.sg is an online shop for baby diapers and other necessities. We focus on selling only high quality products from Japan as all our princes & princesses deserve only the BEST! We complement quality products with efficient delivery service so that mums can spend more quality time with the loved ones. 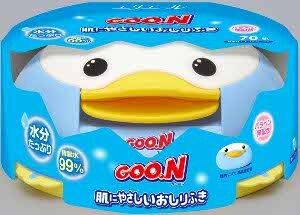 GOON is distributed at the following supermarkets: Cold Storage, Marketplace and Meidi-Ya.